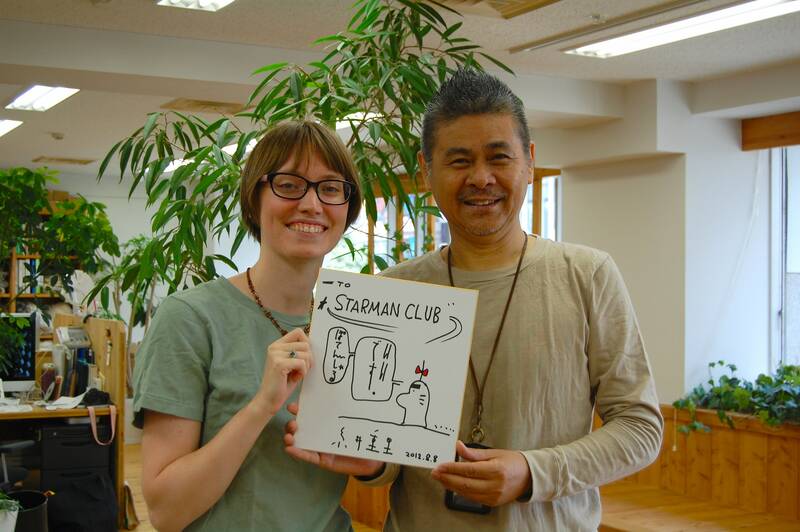 Recently, as we’ve seen in an earlier post, super-duper awesome translator lady Chewy has been working with Itoi’s company on various projects. She was able to meet the man himself, and here’s the result! Chewy did briefly talk to him about the fans in America and elsewhere, but that’s a story for another day that maybe she should tell. Keep fighting! Your prayers may one day breach the darkness and be heard by Shigesato Itoi! This is awesome! Way to go, Chewy. Funny how such a small act can reach people like Iwata. 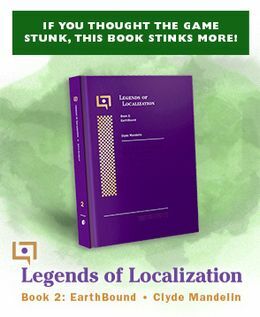 Yes, thank you Chewy and Itoi-san! And wow, how things have changed over the past years! Itoi-san has a goatee and mustache and Reid has long hair! Considering he knows about us, maybe that means he comes to the site every know and then. 😉 If so, HELLO ITOI FROM YOUR BIGGEST FAN!!! It sounds like they were freaking out and trying to explain how that’s not REALLY how things are at his company. BUT THEN WHERE DID THOSE PICTURES COME FROM??? You know this is giving me a strange feeling. Kinda like jealousy, awe, comfort, and happiness all in one? I think it’s that feeling where things have ended for the longest tine and then boom! Nostalgia hits! This is the catalyst of my nostalgia. I look back, see where we are now, and see how far we have come. It feels good! Yes yes yes yes yes <3 . I'm so glad this is happening! 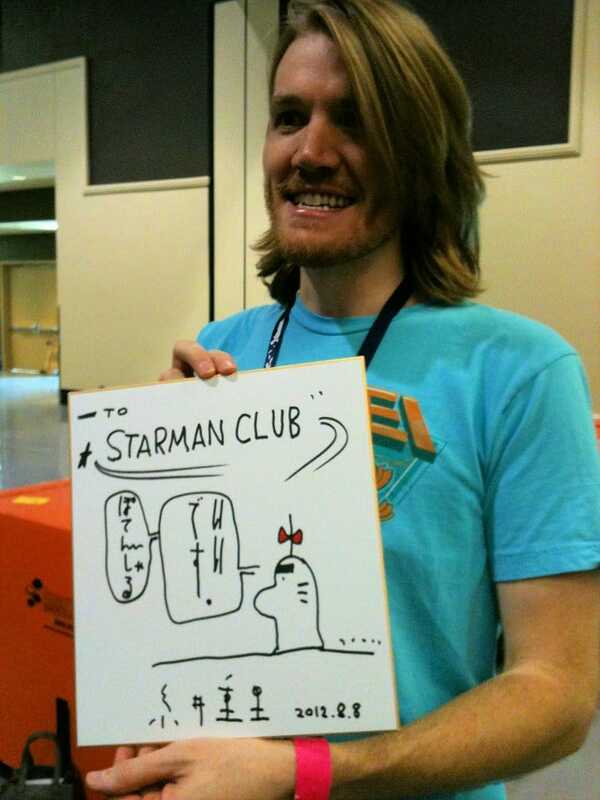 As a (pretty quiet) member of the "Starman Club" for over a decade, I feel like this is a big achievement. Thank you Chewy! Congratulations! Well deserved and a huge accomplishment. It’s both inspiring and heartwarming to see. I’m really happy for you guys! Forgive my language, but HOLY S***! I THINK MY RETINA’S BURST, MY HEART STOPPED, AND MY BRAIN EXPLODED AT HOW AWESOME THIS IS! This. Is. Awesome. Just plain awesome. I wonder if Itoi knows that we worship a cart of Earthbound in the backroom? Thou shalt not use the suporma. I wish I could meet someone who created something I enjoy, let alone something thousands of people enjoy. I’m so very jealous of Chewy! 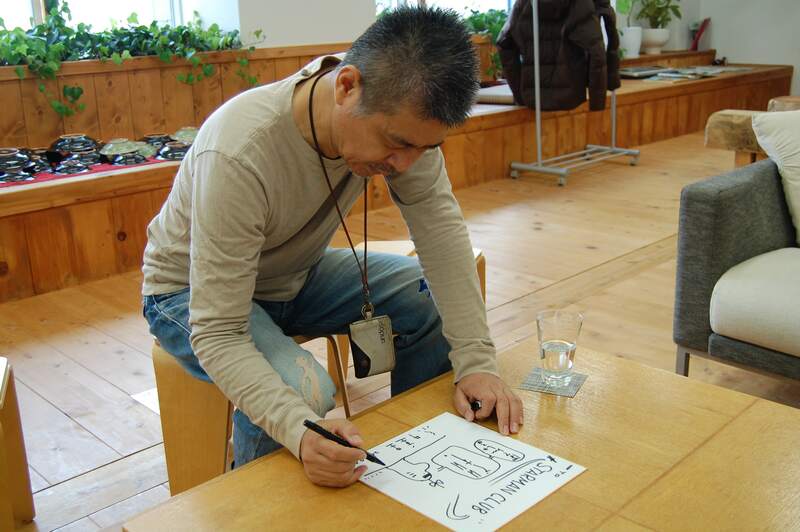 How fortunate to be able to work with Itoi-san like that. 🙂 And that illustration is super awesome! Tomato, what do you know about the relationship between Itoi and Satoru Iwata? They appear to be relatively close. I know they occasionally go out to dinner and what not. Are they friends? Or are they just like, business associates? They’re good friends, not just business partners. They first met during Mother 2’s development. You are so awesome, and an inspiration! That’s unbelievable… awesome. just awesome! “Starman Club” desire has finally been realized!